Events in Devon March. Spring is upon us, with summer not far behind. Let us hope the summer weather is better this year!! Guided Bird Watching Cruises. March still continues the winter guided bird watching cruises. Now the vista can still be wintry but the birds are getting into breeding mode. Your guide is an experienced ornithologist. Four trips this month, only three still available! Ilfracombe Rotary Clubs StarTrek Charity Night Walk. Raise money for Charity. Well what about this one. 2nd/3rd March 2019. Hartland Abbey Daffodil Day Date not yet available. An event for the soul. Some of these bulbs have been there for 150 years! Pleasant day out perhaps. 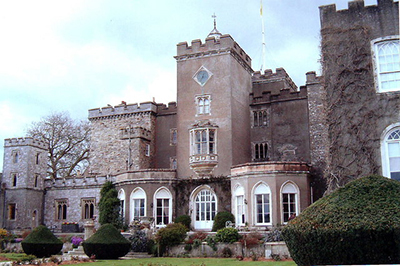 Mad March Exeter Excursion 10th March 2019. With a title like Mad March - anything could happen!! Mind you the weather in early March could do that on its own! Tavvy 13 24th March 2019 Includes the Primary Schools Challenge. Tavistock on the River Tavy in West Devon and is a pleasant little market town. Not all that far from Plymouth. Sir Francis Drake was born in this town. Bristol is on the edge of Somerset and Gloucestershire. A very large, old port city. There is always something going on in Bristol. There is an airport only a few miles away at Lulsgate Bottom on the A38 with easy access by bus to the city. The Exe Estuary is extremely important for its bird life and is a specially protected area. Beautiful in all seasons, There is the Exe Valley footpath that runs by the Estuary and on for 50 miles to Exmoor. 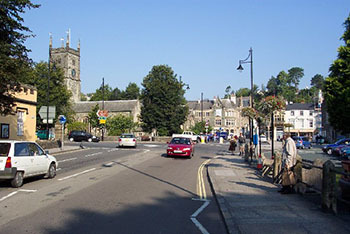 Moretonhampstead is one of the gateways to Dartmoor and can be found along the A382. It is an old market town and situated with views of the countryside around. Hartland Abbey, a lovely place in all seasons, but particularly so in springtime. Opens on 31st March 2014 and runs through to 5th October. Ilfracombe is on the stunning rocky north coast of Devon. Great place for a holiday. Hillsborough Hill towers above a safe harbour and award winning beaches. Start of the Coast to Coast cycle route to Plymouth following the NCN 27 and 3. 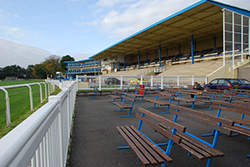 Exeter is the county town of Devon and a great place to live and visit. Great for shopaholics with its little shops down delightful laneways or the big ones of course. Has an airport. Great place to stay for touring, cycling and walking holidays.